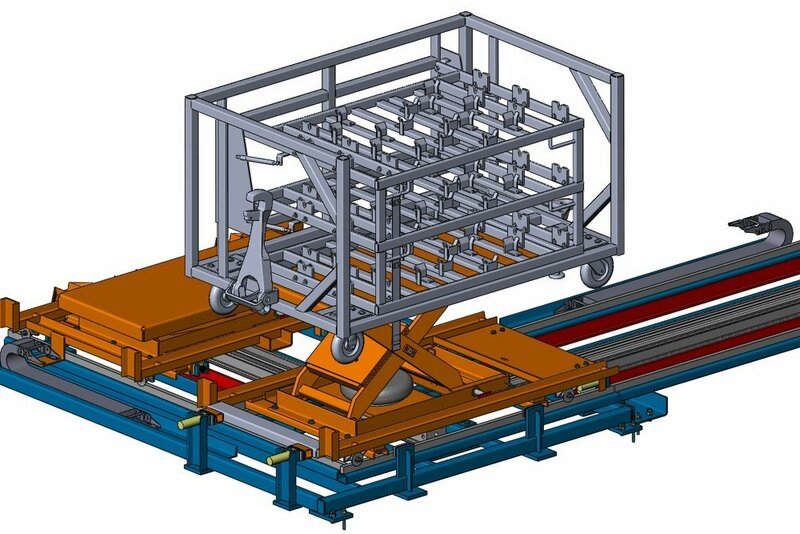 To reduce double handling of racks within carts, the entire cart/rack system can be conveyed to the operator. 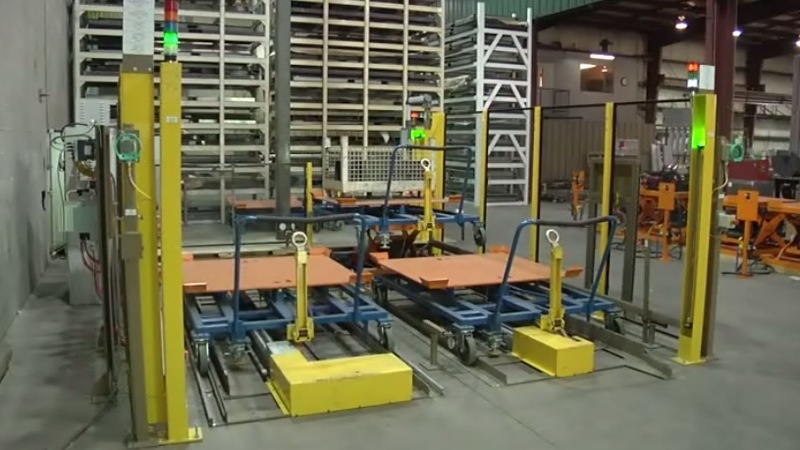 A Cart Handling System provides a continuous supply of carts to the assembly line fork-free. In Side x Side format, full or empty carts are displayed to the operator and once operation is complete, the cart is automatically transferred to the outbound position. 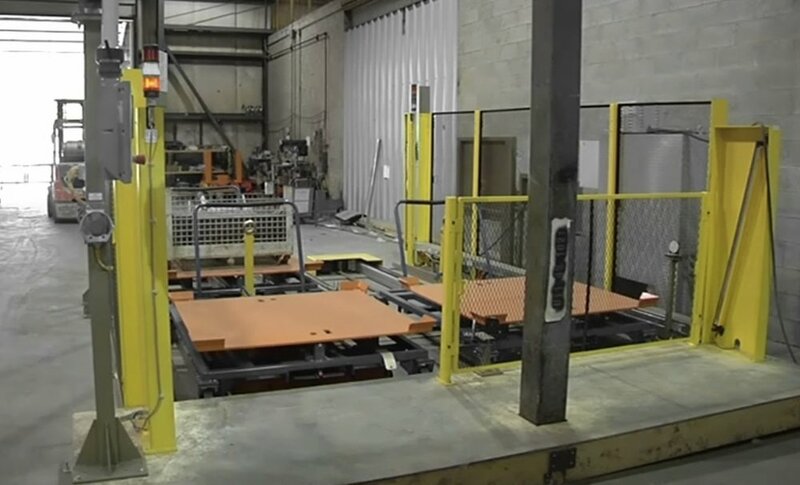 The Operator Pick location can incorporate ergonomic tilts, turntables or lifts.